PLEASE NOTE - The KINDLE edition of this book is for your reference only and is NOT intended to be interactive! It is a preview - its main intent is to show the designs that are available in the physical copy of the book. Each pattern is explained and oriented to maintain a balance between body energy and mental energy, seeking equilibrium through mindfulness. Additionally each symbol shown in the book, aims to explain the Inca mythology as a colorful path leading to the stress relieving through creativity. The meaning of each image is attributed to behavior of human beings to face any inconvenience. In this adventure, creativity becomes your best ally. 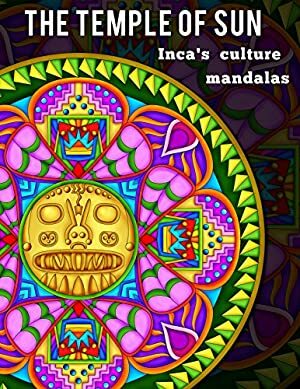 20 patterns full of peruvian Inca's culture and short mythology stories for enhance your knowledge. Feel the energy of ancient cultures and let your creativity explode. You can get a PDF version of these patterns in a link at the end of the book so you can print them out and get coloring . Log In to track Luis Felipe Mujica on eReaderIQ. to be notified each time the price drops on any book by Luis Felipe Mujica. to stop tracking Luis Felipe Mujica. We started tracking this book on June 20, 2016. The price of this book has changed 23 times in the past 1,036 days. The highest price to date was $3.99 last reached on February 14, 2017.